"We appreciated Cherieâ€™s honesty with regards to selling a home in the current market in WA. She was realistic in setting our selling price and this is likely what helped sell our home while others are still on the market. Thanks." "The Real Estate Agent assigned to us, Mrs. Cherie McNeal from Coldwell Banker Olympia, was fantastic!! She provided all the right information on the local market, enabling us to accept an offer within two weeks of listing our house. All in all, we were extremely happy with our service!" "Cherie McNeal was fantastic! Went above and beyond what is expected from good real estate agents. Give her an award or bonus or something to recognize her superb service." "Cherie was great and went above and beyond our expectations. I would highly recommend her!" "I was referred to C.B. by another Military family. Cherie McNeal went out of her way to help us, even before we returned to the U.S. She even entertained our 3 year old son at times which helped us when looking at houses. Right from the start Cherie McNeal showed a lot of interest in helping us. We couldnâ€™t have asked for a better experience in the home buying process. Thank you." 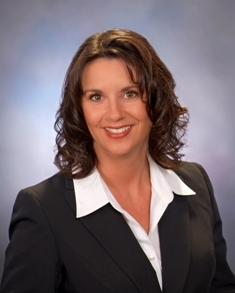 "Cherie McNeal is an outstanding agent that represents your company well." "Cherie McNeal, our realtor, provided exceptional service with our search for a new home. We always felt like she was working for our best interests and we trusted her completely. She's smart, personable, kind and goes that extra mile for her clients. We were 100% happy with our experience in buying our first home and feel that we couldn't have asked for a better realtor." "Cherie McNeal was very professional and personable throughout the process. Market pricing our home was obstructed initially by my 'expectations' of value, and the home sold promptly when I allowed Cherie to price the property appropriately. I would highly recommend her to friends and family."